Uri: The Surgical Strike starring Vicky Kaushal and Yami Gautam is the first hit of 2019 witnessing an extraordinary run at the box office. The film has not only won accolades from critics and audience but the film fraternity and politicians have also given it a positive nod. 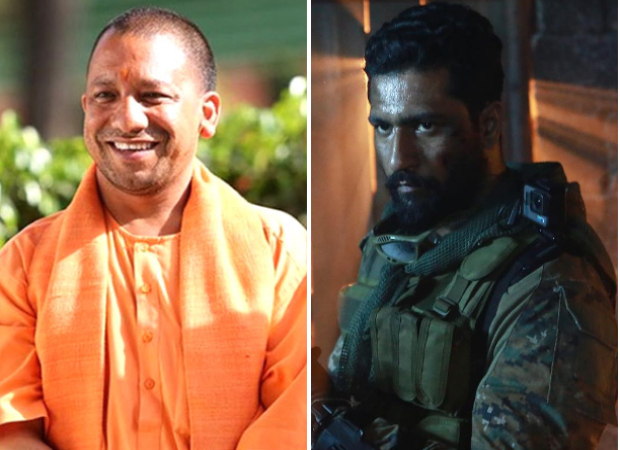 As the film continues to excel at the box office, Uttar Pradesh Chief Minister Yogi Adityanath has taken a special initiative for the moviegoers. The decision was taken at the cabinet meeting held in Prayagraj, where Chief Minister Yogi Adityanath announced that the film will be tax free in the state. "There is a movie on the surgical strikes Uri, the cabinet has decided to exempt it from state GST. This film will instill a feeling of nationalism in the youth and the citizens of the country," Adityanath said. Uri: The Surgical Strike is based on the surgical strikes which were carried out by the Indian army in 2016. Besides Vicky Kaushal, the film also features Yami Gautam, Paresh Rawal, Kirti Kulhari and debutante Mohit Raina. The film has been directed by Aditya Dhar and it has been produced by Ronnie Screwvala. On the work front, Vicky Kaushal will soon begin prep for his next with Bhumi Pednekar which is a horror comedy. Besides this, he is also starring in Karan Johar‘s directorial Takht which is a period drama starring Ranveer Singh, Kareena Kapoor Khan, Bhumi Pednekar, Alia Bhatt, Anil Kapoor and Janhvi Kapoor. ALSO READ: Amul’s tribute to Vicky Kaushal’s URI: The Surgical Strike will make your Tuesday better! Uri- The Surgical Strike Box Office Day 7: Enjoys A Phenomenal First Week! With Uri: The Surgical Strike’s 228 Crores, Vicky Kaushal BEATS Akshay Kumar & Salman Khan! Uri: The Surgical Strike Overseas Box Office: The Josh Is High WORLDWIDE! Uri: The Surgical Strike Box Office Day 19: Inching Towards The 165 Crore Mark! Uri – The Surgical Strike Box Office Collections Day 23: Remains To Be The Audience’s Choice! Uri – The Surgical Strike Box Office Collections Day 22: It’s Unbelievable On Fourth Friday! Uri: The Surgical Strike Box Office (Worldwide): After Salman Khan, It Surpasses Akshay Kumar’s BIGGIE! Uri: The Surgical Strike Box Office Day 29: Continues To Create History! Will Aamir Khan’s PK Go Tax Free?